The season of sweaters, changing leaves, and all things Pumpkin Spice is here! In honor of #NationalPumpkinDay we have gathered three hotels where you can getaway and indulge your love of all things pumpkin. Known for being the home of the famous chocolate factory, The Hotel Hershey offers an idyllic destination for enjoying all things autumnal. Pumpkin Glow at Hershey Gardens features more than 150 carved & illuminated pumpkins, pumpkin-carving demonstrations, and trick-or-treating events. Plus, at The Spa at The Hotel Hershey, guests can book the "Fall Pumpkin Package" (available October 1, 2018 to November 30, 2018), which includes three special pumpkin treatments: Pumpkin Spice Scrub, Pumpkin Souffle Wrap, and the Great Pumpkin Facial. Offering a luxe setting on the grounds of the Biltmore House, the Inn on Biltmore Estate provides a unique destination for fall. The Dining Room serves award-winning cuisine crafted with estate-grown produce, eggs, beef, and lamb from its field-to-table program. There's a winery on-site, plus the spa features "Healthy Harvest" treatments infuses with sustainably-grown botanicals. Guests can reap the benefits from the menu of Healthy Harvest Treatments, which includes massages, pedicures, and facial upgrades as well as packages from September 1, 2018 to November 30, 2018. Situated in the "Pumpkin Capital of the World" about 30 minutes south of San Francisco, The Ritz-Carlton, Half Moon Bay provides the ultimate oceanside destination for pumpkin lovers throughout the month of October. In the newly re-concepted Conservatory there's pumpkin culinary delights like Half Moon Bay Signature Pumpkin Soup, and at Navio there's Pumpkin Caramelle featuring sage, ricotta, and pumpkin pistou, and Roasted Pumpkin Bisque with lobster, pain d’epices, and shiso. Guests can also enjoy pumpkin-infused beverages, plus there is the Half Moon Bay Pumpkin Facial at the Ritz-Carlton Spa, designed to smooth, plump, and hydrate the skin. Mixing the cultures of Mexican settlers with Texas ranchers, San Antonio is a unique Southwestern destination offering historic attractions, a vibrant art scene, and distinctive "Tex-Mex" cuisine. Celebrating its 300th birthday in 2018, this city with a confluence of cultures is hosting commemorative events the week of May 1-6, including special events at each of San Antonio's five missions, along with an array of festivities throughout the year. To mark its 300th anniversary year, San Antonio recently unveiled a variety of new developments, such as the Bottling Department (the city's first food hall), the iconic barges along the River Walk were upgraded with electric models, and San Pedro Creek Culture Park transformed an old drainage ditch into a waterfront promenade with performance and art spaces. Known for The Alamo (Spanish mission where one of the city's important battles took place), as well as the historic River Walk lined with shops, restaurants, hotels, and entertainment, visitors can stroll the street and plaza's to learn about the city's iconic Western past. In addition to The Alamo, the city is home to four additional missions, which are part of the San Antonio Missions National Historic Park, there's traditional Southwestern shopping vendors at La Villita, and Alamo Heights offers trendy shopping and high-end Western wear. Foodies will want to sip an icy margarita along the River Walk and try some award-winning Tex-Mex cuisine. There's restaurants specializing in fresh seafood from the nearby Gulf Coast, a variety of iconic Texas steakhouses serving thick, Texas-sized steaks, plus German restaurants that pay tribute to the city's German heritage. For wine and golf enthusiasts, venture beyond the downtown to Texas Hill Country with an array of vineyards and tasting rooms, as well as championship golf courses. Originally built as a Catholic School by the Society of Mary in 1852, the Omni La Mansion del Rio was transformed into a luxury hotel in 1968 for the the World's Fair. Set along the River Walk, the property blends Spanish colonial architecture with gourmet dining at Las Canarias known for hand-made margaritas and Sunday Brunch on the River Walk, as well as a courtyard heated swimming pool. Plus, guests have access to the Forbes Four-Star Mokara Spa at the hotel's sister property, Mokara Hotel & Spa. In the heart of the city's famous River Walk, the Mokara Hotel and Spa provides a soothing oasis with a full-service, Forbes Four Star Spa and world-class fitness center. 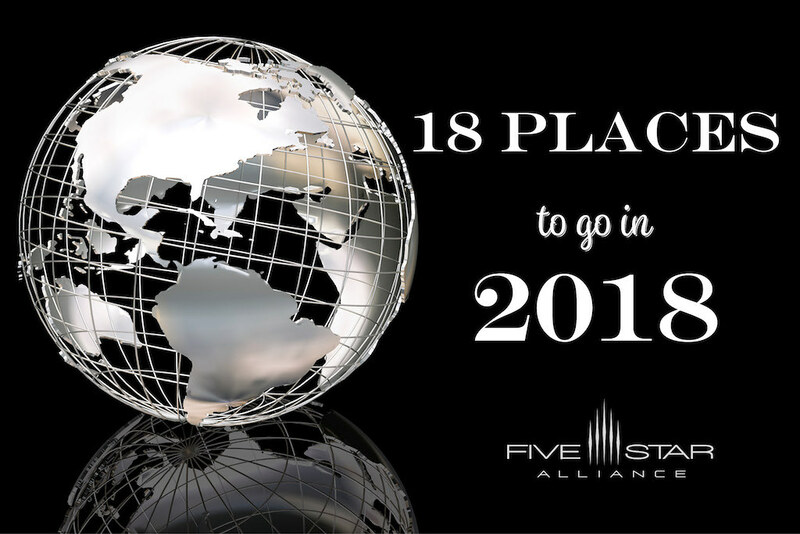 There's a year-round rooftop pool with panoramic city views, as well as the Rooftop Cafe with salads, sandwiches, and cocktails. Plus, dining at Ostra, a AAA Four Diamond Restaurant with a romantic riverfront location and a menu specializing in sustainable seafood. Adjacent to the San Antonio Convention Center, Grand Hyatt San Antonio offers a contemporary setting in the heart of the city. Across the street from the Rivercenter Mall, the 24-story towers over San Antonio with River Walk views, more than 1,000 rooms, a Ruth's Chris Steak House with prime steaks, and handcrafted cocktails at Bar Rojo. There's also a rooftop pool, YogaAway classes via in-room TVs, state-of-the-art fitness center, and meeting spaces with audiovisual equipment and versatile seating options. 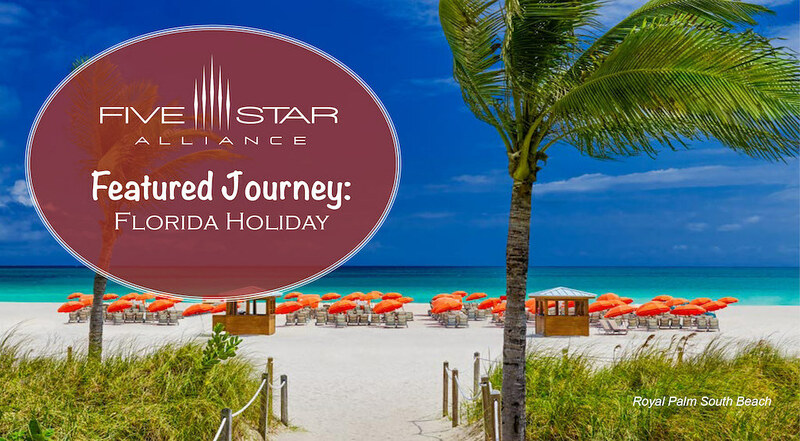 Five Star Alliance Perk: All guests making reservations with Five Star Alliance receive, based on availability, a complimentary room upgrade and a 2 pm late check out. Recently restored to its 1909 grandeur, The St. Anthony Hotel provides an opulent setting overlooking Travis Park. Situated three blocks from both the River Walk and the Alamo, the hotel has multiple on-site dining options each with a unique dining experience, including Loggia serving traditional American classics with a twist. There's a rooftop bar, as well as an outdoor heated pool with private cabanas, fitness center, and state-of-the-art meeting venues. For those seeking a resort setting overlooking Texas Hill Country, La Cantera Resort and Spa recently completed a major renovation, with furnishings inspired by the area's ranch heritage. Located about 30 minutes from downtown, the property is less than two miles from Six Flags Fiesta Texas, with two championship golf courses and five pools. The Loma de Vida Spa & Wellness Center provides an array of treatments, plus a grotto with a saline pool, outdoor gathering place with acoustic music, and outdoor cowboy tubs for relaxation. There are nine on-site dining options including the open-air exhibition-style SweetFire Kitchen, and the Palmer Grille at the Clubhouse, as well as the adults-only level on the property's highest floor. From iconic holiday movies to tree lighting ceremonies, New York City offers a magical setting for celebrating the holidays. Whether it's a girls shopping weekend in the city, trip to the Thanksgiving Day Parade, or a family vacation for Christmas, New York City has a variety of luxury hotels for sleeping, celebrating, and relaxing after exciting days of shopping, Broadway Shows, ice skating, viewing window displays at the department stores, and basking in the glow of holiday lights. Here are five of our top picks for holiday trips to Midtown Manhattan. Celebrating 110 years, The Plaza Hotel offers a historic location on Central Park South. This year, the property is commemorating the 25th Anniversary of Home Alone 2: Lost in New York with special room packages, a Kevin Look-A-Like Contest, 90s Throwback Menu to honor Home Alone 2 at Todd English in the Food Hall, as well as a Home Alone 2 Photobooth Experience starting December 1. Set at the intersection of 50th Street and Madison Avenue, The Lotte New York Palace offers an iconic setting steps from Rockefeller Center. Wake up with a view of St. Patrick's Cathedral from the Cathedral Rooms, ice skate under the shadow of the Rockefeller Center Christmas Tree, shop at Saks Fifth Avenue, and see the one-and-only Rockettes at the Radio City Music Hall, and dine at the hotel's recently opened VILLARD Restaurant. Located along the Thanksgiving Day Parade Route on Sixth Avenue, The Ritz-Carlton New York, Central Park offers an idyllic Midtown location. From the "Fairytale In the City" packages which includes a renowned themed breakfast at the Saks New York flagship store and a carriage ride through Central Park to decadent Christmas Day and New Years Eve Dinners, this luxury hotel provides an elegant base for celebrating the holidays in NYC. Designed by famed architect IM Pei, the Four Seasons New York is a modern-deco landmark. Located along "Billionaire's Row" between Park Avenue and Madison Avenue, the hotel is steps from Madison Avenue boutiques and the Central Park skating rink. Festive Holiday Brunches are served on Saturdays and Sundays from Thanksgiving to Christmas, as well as New Year's Eve and New Year's Day in the Garden, there's an annual tree lighting ceremony to benefit Toys for Tots (November 30, 2017), and a New Year's Eve Soiree at Ty Bar. Offering recently renovated guest rooms and suites infused with natural light and park views, the hotel has a Rolls-Royce house car for short trips within the city, less than 12 rooms per floor for a residential feel, customized in-room technology, and the L. RAPHAEL Beauty Spa. Overlooking Central Park, The Pierre Hotel New York is across the street from the park, and a short walk to the upscale boutiques and restaurants along Madison and Park Avenues. Offering a signature Afternoon Tea with fresh-baked scones and petit fours created daily by the in-house pastry team, special children's amenities, and Perine, a French-American restaurant, the property has a variety of amenities for guests of all ages. 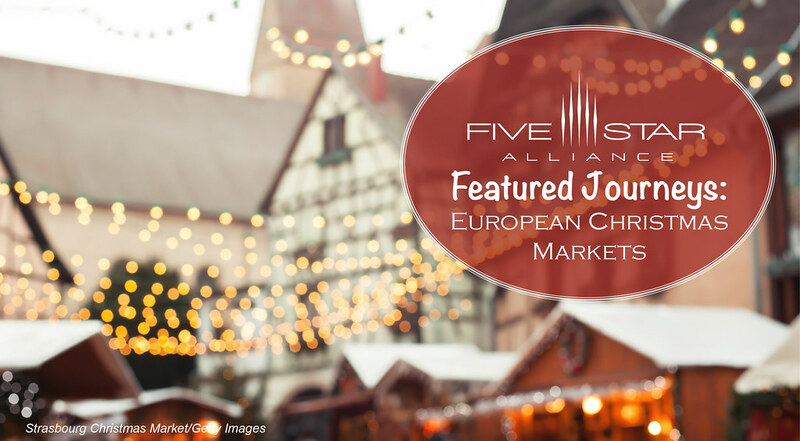 The holiday season is drawing near and the European Christmas Markets are about to open for the season. While Germany is traditionally known for the markets, there's also time-honored markets in France, Switzerland, and Austria. In this edition of Featured Journeys, we're featuring three European cities: Strasbourg, Stuttgart, and Salzburg, which can easily be visited as part of a multi-destination European vacation, or choose one for a festive holiday-themed getaway. From traditional decor to handcrafted toys, as well as live Nativity scenes, choir concerts, ice skating, European Christmas Markets provide a one-of-a-kind setting for sipping mulled wine, enjoying gingerbread, and enjoying the local traditions of the season. Nestled in the Alsace region along the border of France and Germany, the first Christmas Markets in Strasbourg began in 1570. Referred to as the Capital of Christmas, Strasbourg's markets are considered to be the best in France. Open daily from November 24 to December 30, 2017, visitors to the city can visit multiple markets, including the original which is located in the heart of the city's Grand Ile quarter, a UNESCO World Heritage Site. Stroll amidst more than 300 chalets offering local arts and crafts, sip hot wine from boot shaped mugs, and try Flammekeuche - a thin pizza with crème fraîche, onions, and bacon. While at the markets, visitors can watch Nativity plays, listen to carolers, and look for the city's mascot--stuffed white storks in Le Petite France set along a canal in the city center. Situated within a historic 19th century castle, Chateau de l'Ile offers 62 guest rooms and suites inspired by the 19th century bourgeois houses. There's traditional Alsatian dining in the Winstub, a spa with an indoor pool, fitness room, whirlpool, and hammam, as well as bicyles, ping-pong, billiards, and the Heydt bar. Situated in the medieval quarter, Sofitel Strasbourg Grande Ile offers a recently renovated contemporary setting close to the Cathedral, Opera, and Petite France District. The Terroir & Co. Restaurant serves chef-prepared modern cuisine, there's a compact vineyard on-site, as well as a wine cellar with fine Alsatian wines. Set amidst historic city squares, the sprawling Stuttgart Christmas Market dates back to the 17th century. Featuring more than 280 stalls set between the Gothic cathedral and the city's ivy-clad castle, visitors can find glass creations, wooden toys, handmade nutcrackers, and sheepskin clothing. The Kinderland has a mini steam railway, carousel, and Ferris wheel for children, while there are daily concerts in the castle's courtyard. Open from November 29 to December 23, 2017, there are illuminations, fir branches, and angels hanging between the city's gabled houses, and the smell of Glühpunsch wine infused with vanilla and cinnamon fills the air. For food, visitors can nibble roasted almonds, graze on sheep sausages, or try sweet favorites like waffles, gingerbread, and fruitcake (known as Hutzelbrot). In addition to the the city's market, the Esslingen Medieval Christmas Market and the Ludwigsburg Baroque Christmas Market can be reached via a 15-minute ride on the S-Bahn light rail system. Surrounded by castle gardens, the Althoff Hotel am Schlossgarten offers a city center location close to the Köngistrasse shopping street and the city's cultural mile. There are four restaurants within the hotel, including the Michelin-starred Restaurant Die Zirbelstube, bistro, and an American-style bar. The Weinwirtschaft Franz Keller is bistro and wine shop combined, serving regional cuisine with regional wine tastings. Featuring panoramic city views, DORMERO Hotel Stuttgart offers contemporary accommodations in the heart of Stuttgart. Connected to the SI Center entertainment complex, the property offers easy access to musical theaters and the Stuttgart Casino. The Whitelounge offers 360-degree light and sound shows in the evenings, and there's multiple dining options including Tapas Y Vino, The Dubliner, and Red Black Burger. In the midst of the Old City, a UNESCO World Heritage Site, the Salzburg Christkindlmarkt is one of the oldest in Europe. Open each year from the Thursday preceding the first Sunday in Advent to December 26, the market is held in the Cathedral Square, under avant-garde glass casings with about 100 traditional huts selling traditional decor, local folk customs, and holiday treats like sweet mulled wine, roasted almonds and chestnuts, locally cured sausages, and Lebkuchen. The nearby Schloss Hellbrun features one of the world's largest Advent calendars and a living Nativity. Built in 1832, Hotel Sacher Salzburg is located along the banks of the river Salzach. Featuring views of the Old Town and the Hohensalzburg Fortress, the property offers historic elegance with fine dining at the Restaurant Zirbelzimmer with traditional cuisine, and guests can enjoy the Original Sacher-Torte with coffee in the Cafe Sacher Salzburg, a classic Austrian coffee house within the hotel. Set along the Getreidegasse Road in the city's Old Town, the Hotel Goldener Hirsch is a historic hotel that originally opened in 1407. Today, the property mixes original antiques and handcrafted furniture with modern amenities and Austrian traditions. The Restaurant Goldener Hirsch and Restaurant s'Herzel both serve Austrian cuisine in historic settings, and the Bar Goldener Hirsch is located within the hotel's original inner courtyard where horses once waited. Today, it is considered one of the best outfitted Bauernstil rooms with arched entrances, white walls, and stags on the walls.